A three-year study into a set of manuscripts compiled and written by one of Britain's earliest feminist figures has revealed new insights into how women challenged male authority in the 17th century. Dr Jessica Malay has painstakingly transcribed Lady Anne Clifford's 600,000-word Great Books of Record, which documents the trials and triumphs of the female aristocrat's family dynasty over six centuries and her bitter battle to inherit castles and villages across northern England. Lady Anne, who lived from 1590 to 1676, was, in her childhood, a favourite of Queen Elizabeth I. Her father died when she was 15 but contrary to an agreement that stretched back to the time of Edward II -- that the Clifford's vast estates in Cumbria and Yorkshire should pass to the eldest heir whether male or female ­- the lands were handed over to her uncle. Following an epic legal struggle in which she defied her father, both her husbands, King James I and Oliver Cromwell, Lady Anne finally took possession of the estates, which included the five castles of Skipton, where she was born, Brougham, Brough, Pendragon and Appleby, aged 53. Malay, a Reader in English Literature at the University of Huddersfield, is set to publish a new, complete edition of Lady Anne's Great Books of Record, which contains rich narrative evidence of how women circumvented male authority in order to participate more fully in society. Malay said: "Lady Anne's Great Books of Record challenge the notion that women in the 16th and 17th centuries lacked any power or control over their own lives. "There is this misplaced idea that the feminist movement is predominantly a 1960s invention but debates and campaigns over women's rights and equality stretch back to the Middle Ages." The Great Books of Record comprise three volumes, the last of which came up for auction in 2003. The Cumbria Archives bought the third set and now house all three. In 2010, Malay secured a £158,000 grant from the Leverhulme Trust to study the texts. Malay said: "Virginia Woolf argued that a woman with Shakespeare's gifts during the Renaissance Period would have been denied the opportunity to develop her talents due to the social barriers restricting women. "But Lady Anne is regarded as a literary figure in her own right and when I started studying the Great Books of Record I realised there is a lot more to her writing than we were led to believe. "I was struck by how much they revealed about the role of women, the importance of family networks and the interaction between lords and tenants over 500 years of social and political life in Britain." In her Great Books of Record, Lady Anne presents the case for women to be accepted as inheritors of wealth, by drawing on both documentary evidence and biographies of her female ancestors to reveal that the Clifford lands of the North were brought to them through marriage. She argued that since many men in the 16th and 17th centuries had inherited their titles of honour from their mothers or grandmothers, it was only right that titles of honour could be passed down to female heirs. She also contended that women were well suited to the title of Baron since a key duty of office was to provide counsel in Parliament, where women were not allowed. While men were better at fighting wars, women excelled in giving measured advice, she wrote. Malay said: "Lady Anne appropriates historical texts, arranging and intervening in these in such a way as to prove her inevitable and just rights as heir. "Her foregrounding of the key contributions of the female to the success of the Clifford dynasty work to support both her own claims to the lands of her inheritance and her decision to resist cultural imperatives that demanded female subservience to male authority. "Elizabeth I was a strong role model for Lady Anne in her youth. While she was monarch, women had a level of access to the royal court that men could only dream of, which spawned a new sense of confidence among aristocratic women." Malay's research into the Great Books of Record, which contain material from the early 12th century to the early 18th century, reveals the importance of family alliances in forming influential political networks. It shows that women were integral to the construction of these networks, both regionally and nationally. Malay said: "The Great Books explain the legal avenues open to women. Married women could call on male friends to act on their behalf. As part of marriage settlements many women had trusts set up to allow them access to their own money which they could in turn use in a variety of business enterprises or to help develop a wide network of social contacts. "Men would often rely on their wives to access wider familial networks, leading to wives gaining higher prestige in the family." 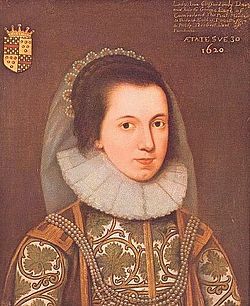 Lady Anne was married twice and widowed twice. After her second husband died she moved back to the North and, as hereditary High Sherriff of Westmorland, set about restoring dilapidated castles, almshouses and churches. Malay said: "Widows enjoyed the same legal rights as men. While the husband was alive then the wife would require his permission to do anything. Widows were free to act on their own without any male guardianship." The Great Books also provide a valuable insight into Medieval and Renaissance society, with one document describing a six-year-old girl from the Clifford family being carried to the chapel at Skipton on her wedding day. Lady Anne also recounted her father's voyages to the Caribbean and she kept a diary of her own life, which includes summaries of each year from her birth until her death at the age of 86 in 1676. Malay said: "The books are full of all sorts of life over 600 years, which is what is so exciting about them." Malay's Anne Clifford Project, the Great Books of Record was the catalyst for an exhibition of the Great Books of Record, which are, for the first time, being exhibited in public alongsideThe Great Picture at the Abbot Hall Art Gallery in Kendal. The Great Picture is a huge (so huge a window of the gallery had to be removed to accommodate its arrival) triptych that marks Lady Anne's succession to her inheritance. The left panel depicts Lady Anne at 15, when she was disinherited. The right panel shows Lady Anne in middle age when she finally regained the Clifford estates. The central panel depicts Lady Anne's parents with her older brothers shortly after Lady Anne had been conceived.